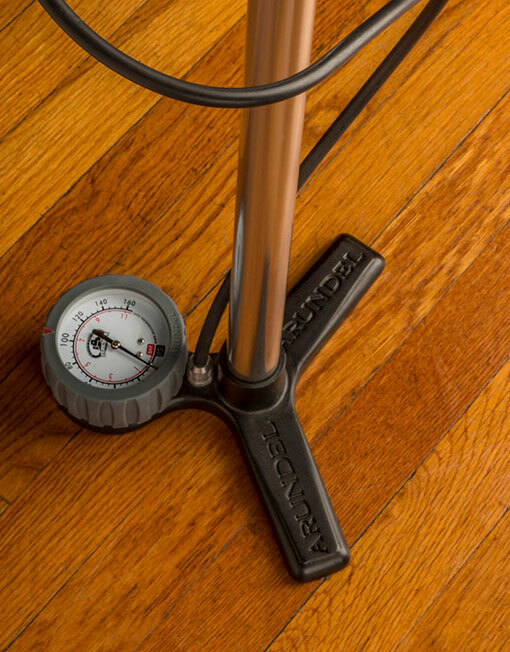 Our Floor Pump 1 is the world’s only pump with an anodized forged base. Forged = durable. 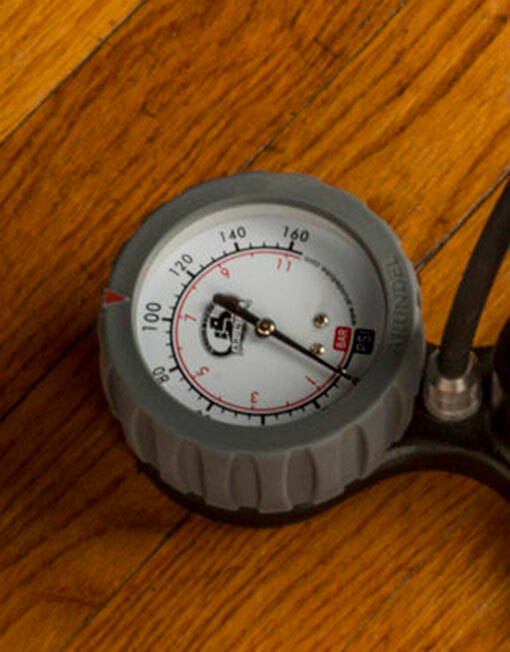 Big 3” clutter-free gauge. Easy to read. 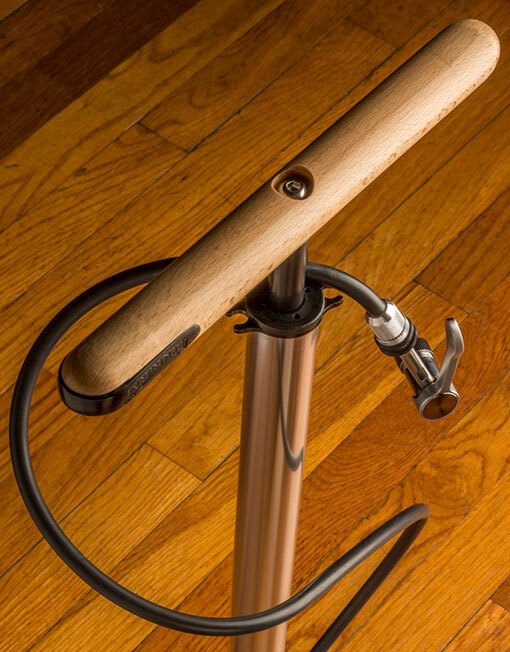 Tried and true wooden handle. Comfortable to the touch and resistant to temperature changes. Mandrel drawn aluminum tube to insure tight tolerances. Stainless steel internal parts to prevent rust. 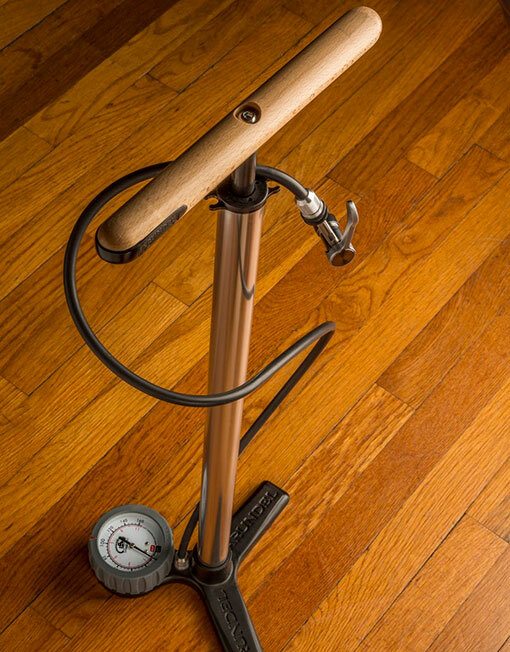 In house designed presta pump head “Hansel” included. All pump parts are available for sale, as our pumps are fully serviceable.